Many individuals, families, and small groups help protect Pine Bend, a special place for people and wildlife alike. The Pine Bend Bluffs Natural Area covers an extensive area of woodland, wetland and prairie along the west bend of the Mississippi River about 15 minutes south of downtown St. Paul and west of Hastings. Its name refers to the large white pines that formerly graced its bluffs. A few of these majestic trees can still be seen towering above the canopy. The area covers multiple public and private properties but primarily consists of three properties north to south: Macalester Colleges Katherine Ordway Natural History Study Area, the Pine Bend Bluffs Scientific and Natural Area (SNA), and Flint Hills Resources' natural area. Pine Bend Bluffs is known for stunning views of the Upper Mississippi River basin and its critical role in providing wildlife habitat. 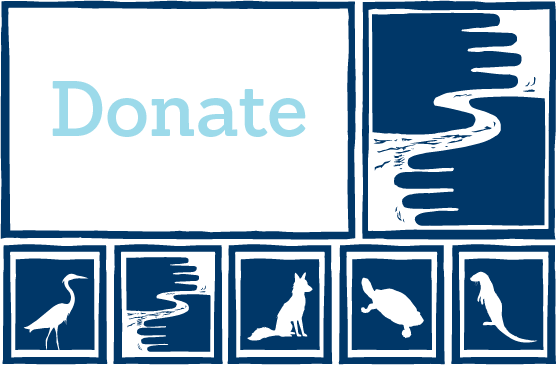 Friends of the Mississippi River has played an instrumental role in its protection. 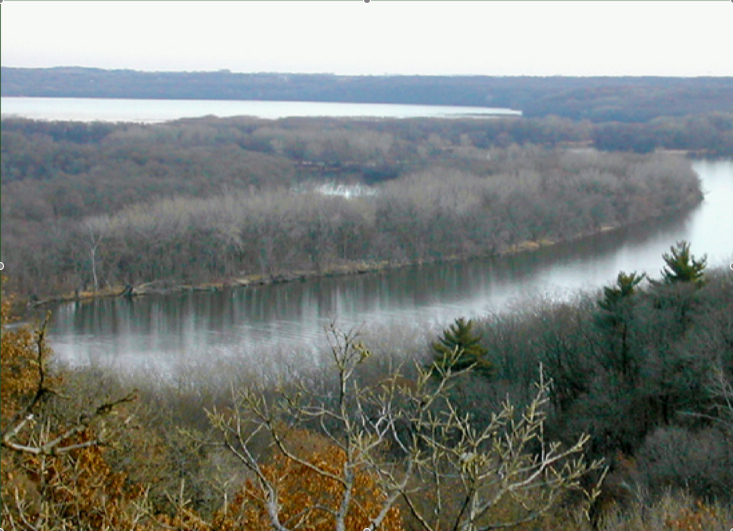 In 2002, FMR-led efforts culminated in the creation of the Pine Bend Bluffs Scientific and Natural Area. SNAs are similar to state parks, but they are more highly protected. In February 2011, FMR secured another 66 essential acres, turning the SNA into one continuous corridor--important for plants and animals--and making it one of the largest natural areas along the Mississippi. Then in 2012, Macalester College enrolled the majority of their property in a conservation easement. As a result, most of Pine Bend is now permanently protected. The Pine Bend Bluffs Natural Area has become increasingly significant and unique as natural areas along the Mississippi River continue to be fragmented by development and degraded by exotic invasive species. The Bluffs are one of a few natural places that have survived along the Mississippi River, as well as one of the largest and most diverse ecosystems remaining in the Twin Cities area. It is home to waterfowl, turkey, deer, coyotes and fox, as well as several rare plants and animals. Pine Bends location along the Mississippi River also is vitally important as a breeding and resting area for hundreds of bird species that use the corridor for migration each year. Historic human uses of the blufflands (including pasturing and homesteading), and the elimination of fire as a natural ecological process, have altered the plant community composition and structure. Invasive plant species, especially European buckthorn and garlic mustard, present the most significant threat to the native oak savanna, tallgrass prairie, and the rare sand-gravel prairie communities. These exotic species choke out native vegetation and lead to poor habitat for wildlife. The goals for this site are to sustain and improve the oak forest plant communities by controlling invasive woody species, to better allow the native plants to thrive. Goals for the bluff prairies are to expand them more similar to their historic extent and to improve conditions for the native plants by reducing woody plants and re-introducing fire to their ecology. Many former pasture areas throughout Pine Bend provide opportunities to restore native prairie and savanna. 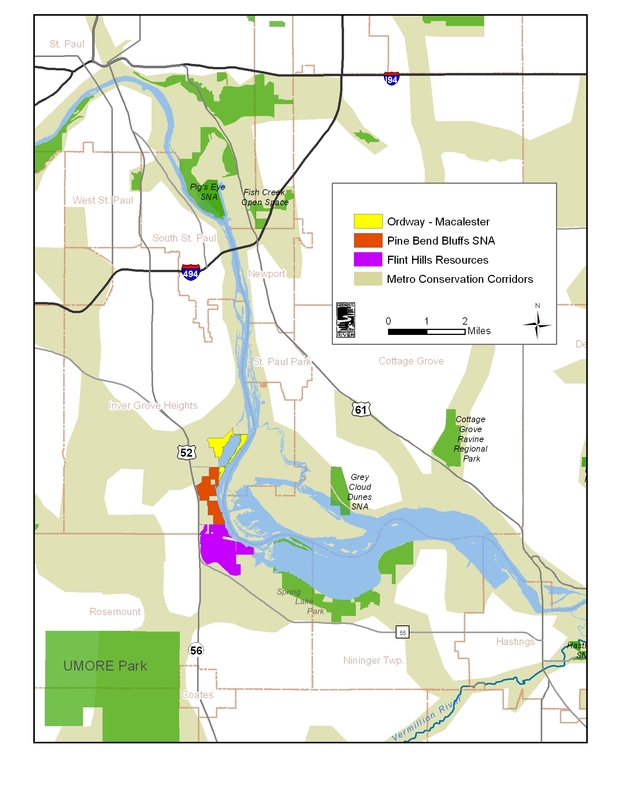 Restoration work at all the properties within the Pine Bend Bluffs Natural Area is organized according to management plans completed by FMR in partnership with the landowners, including the MN Department of Natural Resources (DNR), Flint Hills Resources (FHR), and Macalester College. 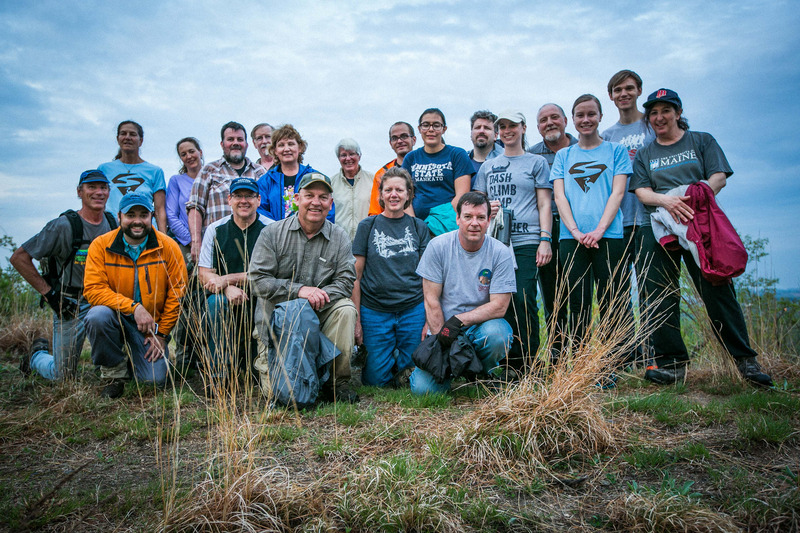 Volunteers have made significant contributions towards the main restoration goals!  A top restoration priority has been to reduce exotic invasive plants, especially buckthorn and garlic mustard, from the high-quality oak forest and other areas. Working with FMR staff, volunteers have dedicated many hours removing these invasives. Without volunteer assistance, these areas would be significantly degraded. Hired contractors take on the larger tasks of invasive woody control and prairie restoration. 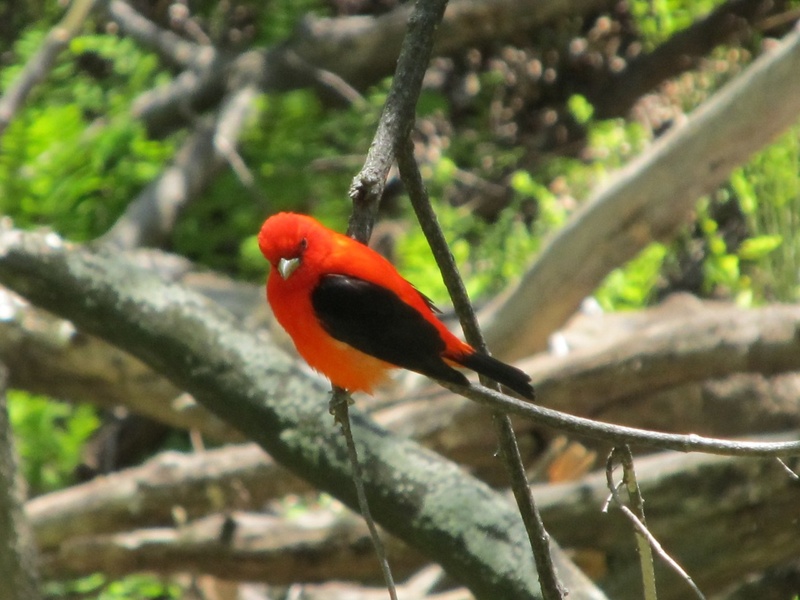 Over 400 acres of forested areas have been managed for buckthorn, an on-going process that is repeated every few years, and over 70 acres of native prairie and savanna have been restored. At the SNA, only locally-gathered native seed can be used in the restoration process. On many occasions, volunteers have helped collect this seed, which was then broadcast at the SNA. Other volunteer work has included planting native wetland and prairie species and planting acorns. Early on, volunteers learned to think like squirrels, which scatter-hoard the acorns in more locations than they can possibly remember, to re-establish the tree component of an oak savanna. FMR plans to continue to partner with the DNR, FHR and Macalester College to restore and enhance the natural communities on the property so they will provide critical wildlife habitat and support the health of the Mississippi River. The protection of the Pine Bend Natural Area is an excellent example of the power of partnerships — between institutions, landowners, and community volunteers. Major funding for the work at the SNA has come from a generous donation from the Malcolm family, and through state grants from the Environment and Natural Resources Trust Fund, the Outdoor Heritage Fund, and Metro Greenways Fund. Other partners included: Dakota County Farmland and Natural Area Program, Dakota County Parks Department, Flint Hills Resources (a landowner in the area), Great River Greening, the Trust for Public Land, the City of Inver Grove Heights, the Dakota County Soil and Water Conservation District, National Fish and Wildlife Foundation, Mississippi River Fund, and the Mississippi National River and Recreation Area. To receive email notice about upcoming events at Pine Bend, contact FMR Volunteer Coordinator Amy Kilgore, akilgore@fmr.org. For more information on the Pine Bend Bluffs visit FMR's Pine Bends Bluff project overview or the MN DNR's Pine Bend Bluffs SNA page.